The L-29 Delfin would prove to be the most complicated plane I had flown, even though simple by military standards. The addition of a turbojet and more advanced hydraulic and pneumatic systems would be a departure from the basic systems in a Seminole. The plane was pressurized but unnecessary at low altitudes. Ejection seats were disarmed despite warning signs to the contrary. Most jet warbirds have disabled the seats due to the additional inspections and certifications required. The emergency backup plan involved seat parachutes. First jettison the canopy, release the seat harness then roll the aircraft inverted to free fall with the intent of not striking the T-tail. These chutes had a conventional D-ring to pull assuming, of course, there is sufficient altitude. Otherwise the only choice is a forced landing inside an aircraft with the glide ratio of a manhole cover. The Delfin was developed by Czechoslovakia for the Soviet Air Force. While designed as a training aircraft, it served as an attack airplane for a number of countries including Egypt in the Yom Kippur War. A weapons release button is located on the stick along with the speed brake selector. Czechoslovakia inherited much of Germany’s aviation technology after WWII and was best positioned to develop aeronautical designs when it became a satellite of the USSR. Aero Vodochody built the first production models in 1963 with production lasting another 11 years, before transitioning to the L-39. Of the 3,000 L-29s built, there are only about 50 of them still flying. Most of the instrumentation is in Cyrillic. My Russian was rusty at the moment so it was handy that the previous aircraft owner took pains to label that which was not obvious and somewhat important with English subtitles. Metric pressure and temperature gauges required additional translation (at least for me) and I had the pilot operating handbook (POH) for help. Caution and warning notices filled the POH. Some were common sense: “Too much back pressure will extend take off roll and the ability to remain airborne is doubtful”. Not encouraging but yep – I get that. Some were not so obvious: Warnings for asymmetric flaps, airstarts and engine fire. The back up hydraulics for emergency flaps and gear were a nice touch. The idea of flying a plane built in 1969 in Eastern Europe was somewhat offset by it’s excellent safety record and the fact that jet engines are way more reliable than the reciprocating kind I usually fly. The engine start button is located behind the throttle. After flipping on the battery, powering up the intercom and avionics, setting up the com/nav radios, testing the fire detection system and caution light panel, the canopies are closed before starting the engine. The engine slowly spools up, the faint whine developing into a muffled roar. Idle is at 35% of max rpm. Older turbojets are noisy affairs as evidenced by some onlookers with hands cupped over their ears. Frankly, it sounded terrific. It’s capable of producing 1,950 pounds of static thrust with a maximum operating RPM rating of about 15,300. Since a fully loaded plane is around 8,000 pounds it has a relatively low power-to-weight ratio. With its pressurized cockpit, max altitude is 36,100 feet, and maximum operating speed is generally in the range of 350 knots. Range is 555 miles, or about 2 hours of flight. It’s not meant for cross country travel. It only takes 2,000 feet from brake-release to rotation. Climbout is a modest 2,000 feet / minute. Pretty docile. However, it has a nice roll rate and was able to put out 5g’s in the loop. I wonder if anyone was watching the show as the plane roared and wheeled around the sky. Not as nimble as the Extra, which has an aileron the length of it’s wing, but it exudes power. Some think it has an ungainly appearance. Not me. While not as sleek as the L-39, it still looks like a fighter. The canopy affords a terrific view of the horizon which stretches out forever, blurred at the edges by afternoon haze. Before long, it’s time to head back but first a call in to the tower for a low pass for our viewing audience. I know it must be loud but you can’t tell from inside the jet. After circling the field, the Delfin decended down the glide path until touching down at about 90 knots, using 4000 feet before taxing to the ramp. Any flying is great. Flying the Delfin is an absolute blast. Hard to imagine U.S.S.R. pilots actually got paid for the stick time. Do I need to say – that rocks????!?!? I would be great, just once, to try it with weapons on a range. I would ABSOLUTELY hate the thought of no seat. You sure can’t helicopter one of those down on the nearest front lawn. BTW, I really had never given the inspection requirements, etc., for a working seat in a civilianized military jet any thought–just assumed it came with the pkg. Shows you how analytical “I” am…as upon reflection there is obviously no civilian regulatory agency set up/staffed to do the certification process , is there? And damned few people in the civilian world qualified to work on them full time and maintain them who are still active in aviation to boot. There are FAA regulations that govern the installation and regular inspection of “cartridge actuated devices” but the folks that know these systems are not as available as the standard A&P mechanic. A growing number of L-39 pilots are using them. The Mig 21 that operates out of our field has them too. There’s also the risk of a passenger messing things up by not treating them like a loaded gun when the pins are removed. More risk to assume for the owner. True-it’s different not having the “final option” in a jet but the many Hawkers and Citations flying around don’t have them either (they also have two engines). Standard parachutes are used in aerobatic planes (planes like the Extra; Pitts, Decathlon etc.) and the egress isn’t alot better. There are door and canopy releases (The L-29 are pneumatic) but you still need to get out of the plane without hitting something and quickly. That’s why most wear helmets. Sean Tucker’s helmet saved him when he bailed out of his Pitts. 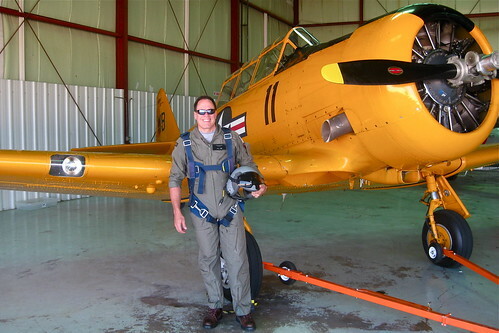 He struck the aircraft mutiple times before he was able to deploy the chute.